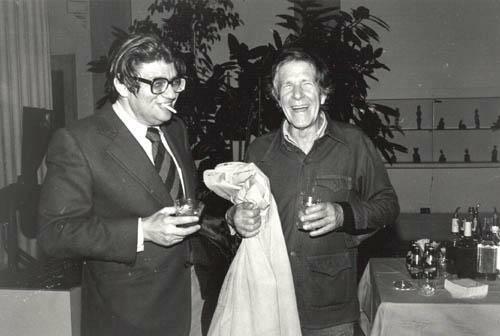 John Cage and Morton Feldman recorded four open-ended conversations at the studios of radio station WBAI in New York. 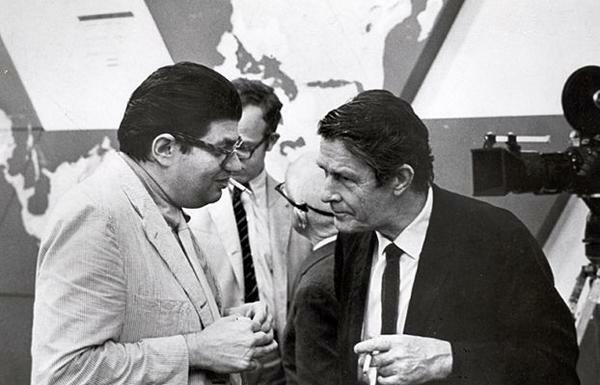 These meetings spanned six months between July 1966 and January 1967, and were produced as five "Radio Happenings". Both were at transitional points in their music. 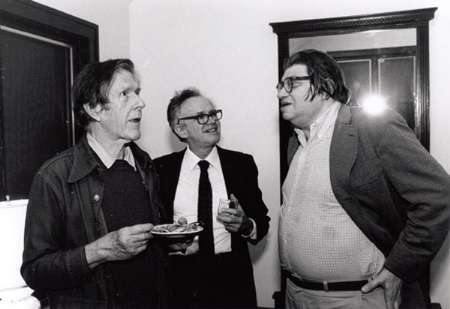 Cage had completed Variations V in 1965 and Variations VI and VII in 1966, and would publish "A Year from Monday" in 1967. 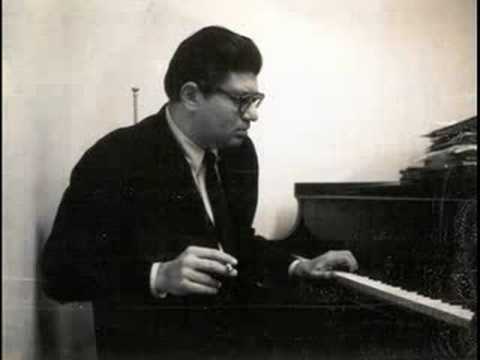 Most of Feldman's important work was yet to come. These conversations between two old friends, relaxed, smoking, and throwing out ideas, are full of laughter and long ponderous silences. They form an incredible historical record of their concerns and preoccupations with making music, art, society, and politics of the moment. On intrusions - is it reality or culture? The role of the artist - deep in thought. Is it possible to avoid the environment around us? Being constantly interrupted? 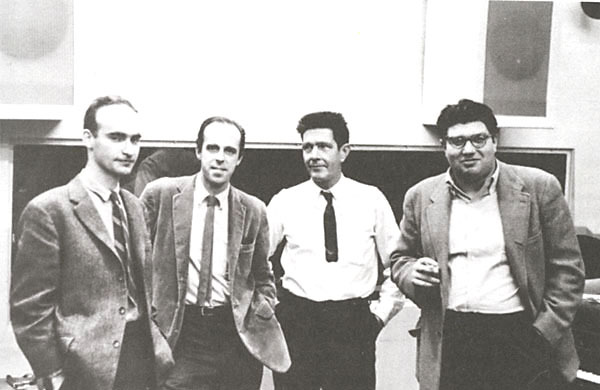 Larry Rivers, Bob Rauschenberg, Franz Kline, Schoenberg, Stockhausen, Boulez, Black Mountain College. On boredom and Zen, Buckminster Fuller. Governments, modern music, freedom from being known. Writing for large or small ensembles. Boulez and Stockhausen's reactions. Writing for Christian Wolff and electric guitar. de Kooning. Lukas Foss. 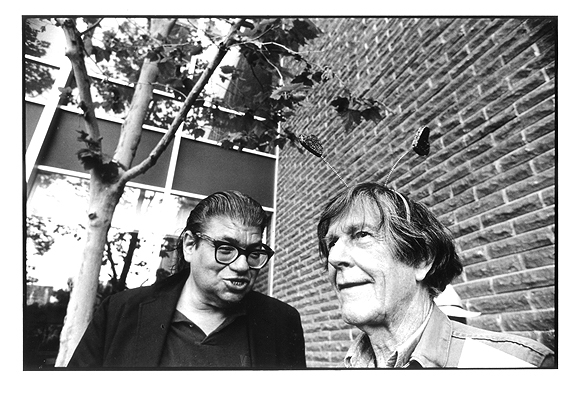 Cage comments on Feldman's soft sounds. Having stamina to make an action. On working alone. Working "at home". Being asocial and the telephone. Edgard Varese. The question of death. "There is so little talk these days." Talking in England. The ICA lectures. Kitaj. David Sylvester. English pompousness. Cardew. Compositions as "work-in-progress". Thinking about Mozart. Webern and other possibilities for new music. Differences between Boulez and Stockhausen piano pieces. Varese and process. Space, silence, notation, scales. Finding the vertical. Grandeur of Varese. Stockhausen's refusal. Looking into the future. Buckminster Fuller's ideas on ending war. Design in a disposable world. How our sense of time has changed. "How do we spend our time?" Conversation as enjoyment. Impermanence and music. "Do you prefer the composition, or hearing the music?" Feldman working on "In Search of an Orchestration". Composers silent on Vietnam. Painters are not. Protests in Europe. Fuller's views and World Resources Inventory. Global Village. Problems, stories of performances. "Why do you continue to compose?" Creating new notation. Students making compositions. The way things are done nowadays. Things are "less narrow now". Children, and the Middle Ages. "If we apply ourselves to the social situation... as composition rather than criticism, we'll get somewhere!"